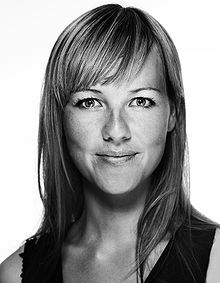 Ida Auken, Denmark’s environment minister said in April 2012 that “In spite of our economic crisis, the green economy is not just one way forward; it is the only way forward.” Our survival as a species is dependent upon rapidly reducing the harm we are doing to the biosphere. Our economy is dependent upon a radically more efficient use of resources if we want to avoid economic chaos driven by resource scarcity. Our social wellbeing as a species is dependent upon greater social justice. As I have argued in countless blogs, articles and talks we need now more than ever to invest in the green economy. In the last blog I wrote about the need for the right kind of investment in UK infrastructure. David Weight’s multi-functional canal is just one of many of the lesser known but potentially exceptionally useful potential projects that might achieve carbon negative, truly sustainable economic growth. As people who have come to many of my talks and classes over the years will know I passionately advocate investment in a basket of integrated technologies suitable for hot arid countries. The central technologies are concentrating solar power and solar desalination, either using Seawater Greenhouses or possibly other technologies. I first heard about Seawater Greenhouses at a lecture given by Prof. Phil Harris at Garden Organic in August 2002. I was instantly bowled over by the vast potential of this ground breaking technology. In February 2011 I wrote a blog about them. For a decade now I have awaited developments with baited breath. After the initial small scale research projects in Tenerife, Abu Dhabi and Oman the first commercial scale project commenced in 2010 at Port Augusta in South Australia. Charlie Paton the genius who’d developed the idea assembled a team to do the first three projects. Philipp Saumweber joined the team for the commercial scale project in Australia. It soon became clear that there had been a falling out as the Australian project rebranded itself as Sundrop Farms and stopped using the term Seawater Greenhouse. Jonathan Margolis of the Observer visited Charlie Paton in London and Philipp Saumweber in Australia and got both sides of the story, and published a very interesting article in November. There are some amazingly exciting developments currently going on in the world of Seawater Greenhouses, solar desalination, concentrating solar power and some related technologies that I’ll write about over the next few weeks. Together they represent a future technological shift with as great a potential as the internal combustion engine had in its day, or the internet is currently having. These are just the kind of technologies we’ll need if we as a species are to escape the triple crises: the ecological crisis, the resource scarcity crisis and the economic crisis. This entry was posted in Business Investment, Climate Change, Economics, Energy, Politics on 31 December 2012 by Richard.